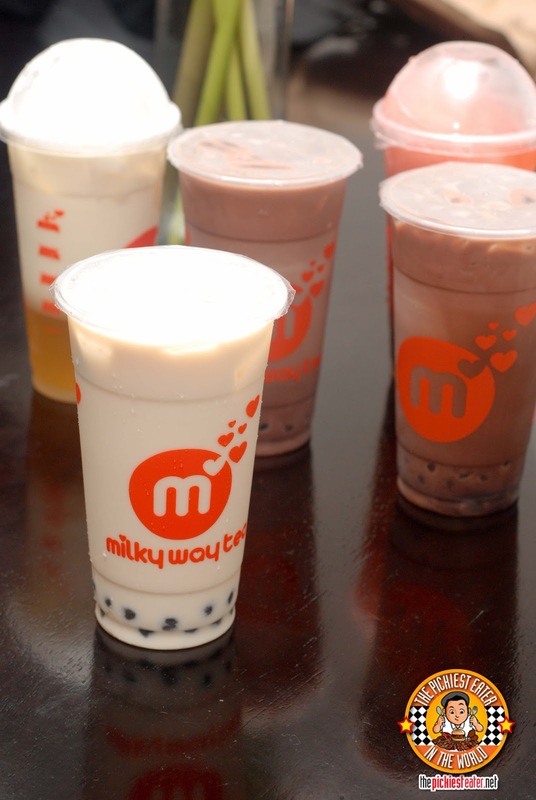 THE PICKIEST EATER IN THE WORLD: QUICK DELIVERY FROM MILKY WAY TEA! It was a rainy Sunday afternoon last weekend, when Chaikka, Rina’s sister, dropped by our place to visit Baby Rain. My wife loves being the host, so she immediately asked if we could order somewhere for merienda. Despite the chilly weather, I was having a craving for something cold. Rina said interjected that perhaps Hot Chocolate would be better suited for the climate, but for some strange reason, I was craving for something along the lines of a milkshake. Chaikka suggested Milk Tea would be a good substitute, however I’m really not too fond of the stuff. Unfortunately, the words “Milk Tea”, whetted Rina’s appetite and she was adamant that we go get some. Not wanting to drive in the pouring rain, I suggested they check out the Quick Delivery Website to check out if there was a milk tea place in Pasig amongst their roster. Luckily for them, not so much for me, they found “Milky Way Tea” among the list of restaurants. A very nice gentleman by the name of VJ took our call, and was very helpful in processing our orders. 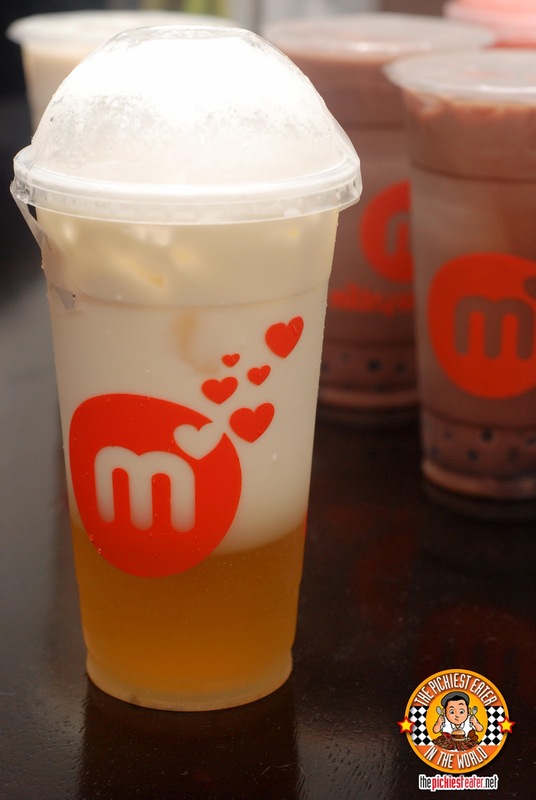 Given that this was milk tea and I was not very familiar with how the process worked, he guided me regarding choosing the percentage of the sweetness, and adding pearls and what not. When I told him that I was hoping for something that didn’t have “Tea” in it, he informed me that Milky Way’s “Slushes” was more of a frozen fruit shake, with no tea in it. Because of the weather, we were expecting the delivery to take a bit longer than usual.. And we were right. Although it turned out, the delay wasn’t caused by the weather. VJ apologetically called us up when our waiting time hit the 1 hour mark, explaining that the order was not transacted immediately for some reason. Though we were not exactly pleased that there was a delay in our order, I appreciated the care they took in calling us up to inform us that we would be made to wait a little longer. We were actually anticipating the delay due to the weather, so we really didn’t mind so much at all. Even less than 20 minutes later, the orders arrived. Rina enjoyed her Jasmine green Tea very much.. 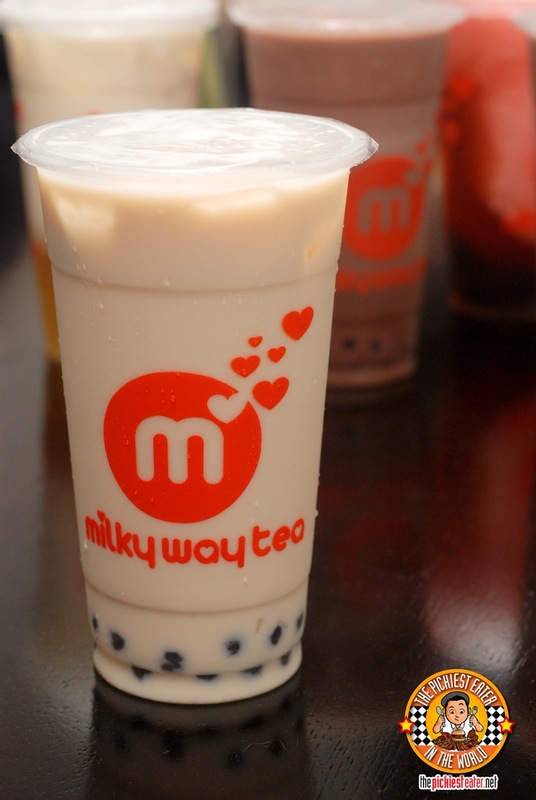 While Chaikka couldn’t get enough of the Milky Way Classic Milk tea. 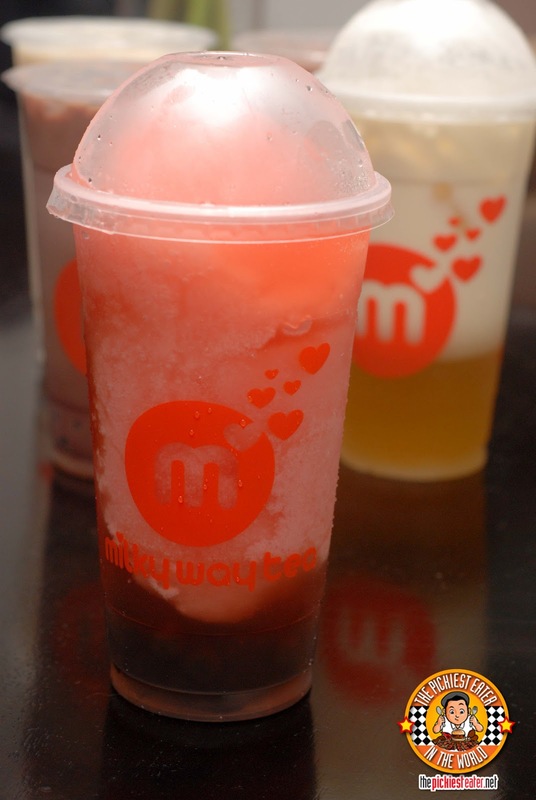 I found the Strawberry Slush to be extremely refreshing, with a perfect balance of sweetness, without being too strong with the citric taste. It would be a perfect drink for the summer. Needing some actual food, I ordered the Honey Buttered bread, which I believe would probably taste tons better at the store, because it got to us a little bit dry already. What was nice about it, was that the center was moist, because of the generous heaping of honey butter. 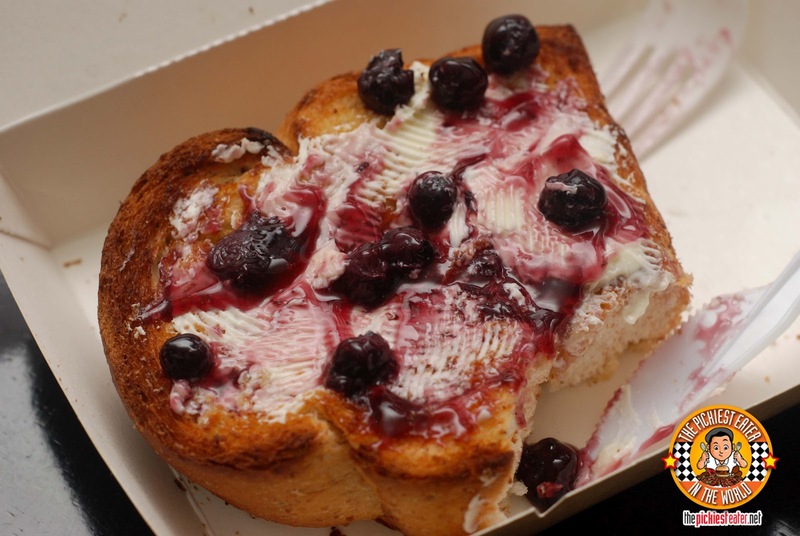 But the outskirts of the toast had already dried up during transit. I found the amount of blueberry provided to be just right, and when spread around with the whipped butter, it made for a delightful afternoon snack. 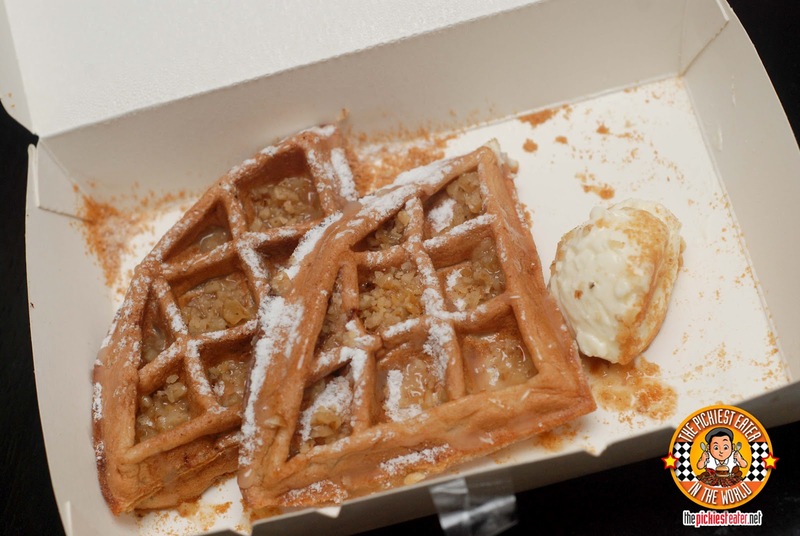 The “Moffle”, which is a mixture of Mochi and a waffle, was also rather enjoyable. Since it was a mochi, the texture was a tad bit different from your average waffle, being a tad bit more chewy, but still delicious. I’m curious how this would be if eaten in the store, would the texture be much different? 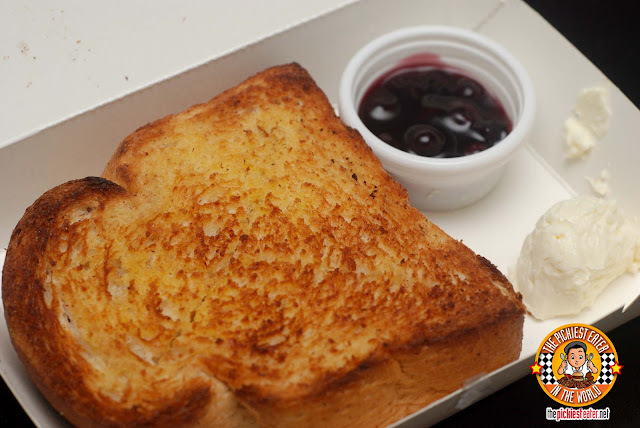 This was my second time to order from Quick Delivery, and both times, even though the service was a little late, we were fine with it since we were warned in advanced regarding the delay. Although we truthfully did not mind given the weather conditions, hopefully the next time I order, they’ll deliver right on time! Definitely gonna try Milky way tea!